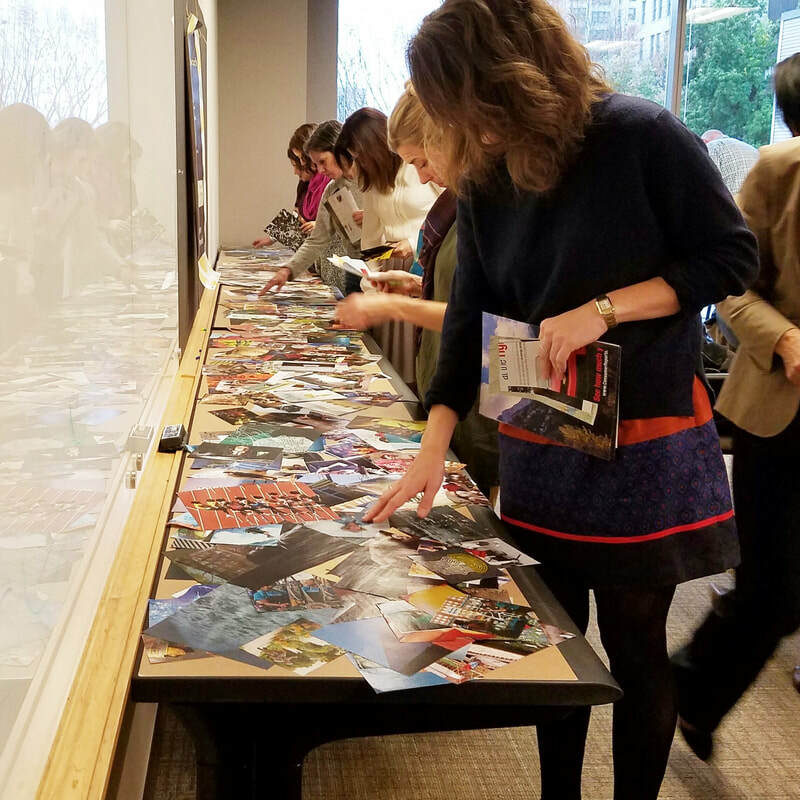 If you are a therapist, a client of one, or ever wondered if SoulCollage® might help you with healing and self-care, it probably will! 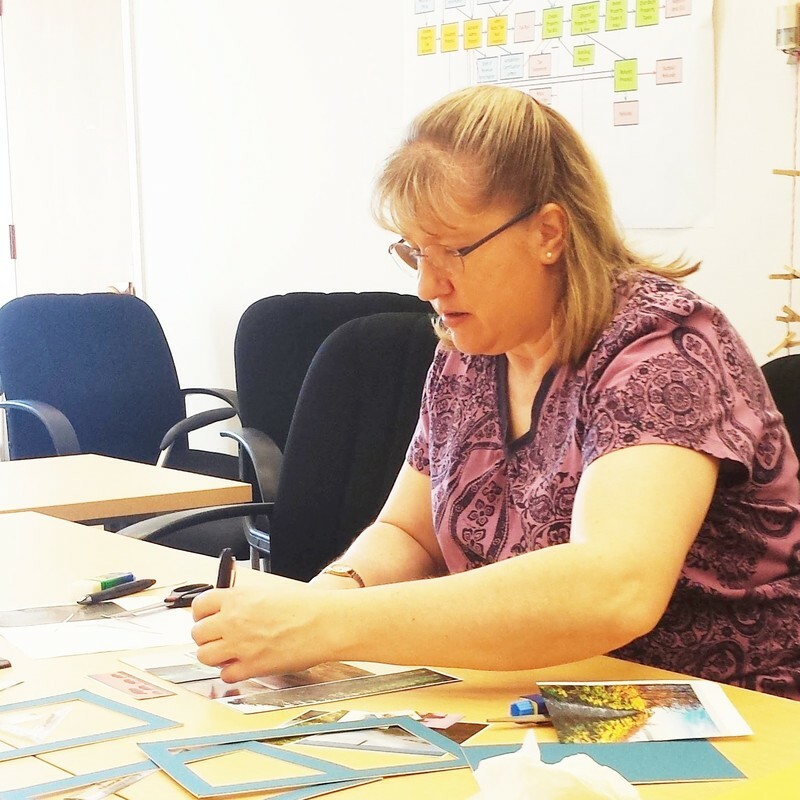 ​SoulCollage® is not therapy and I am not a therapist, but SoulCollage® is a vital part of my self-care routine for optimal mental health. It's helped me like nothing else. You have to personally experience it to truly feel the magic. Thank you for your interest, and I'll see you soon! Craft in quiet - It's time to focus on oneself. Relax and be welcome - Everything is clearly explained and all supplies provided so you can just collage. Peruse hundreds of quality Images - These are hand selected and prepared for variety and diversity. Come as you are - This is a safe space for all to create and share. Experience the three-part opportunity for growth and learning. 1) Visually working with images, 2) Writing the "I am one who..." statement, and 3) Sharing outloud. 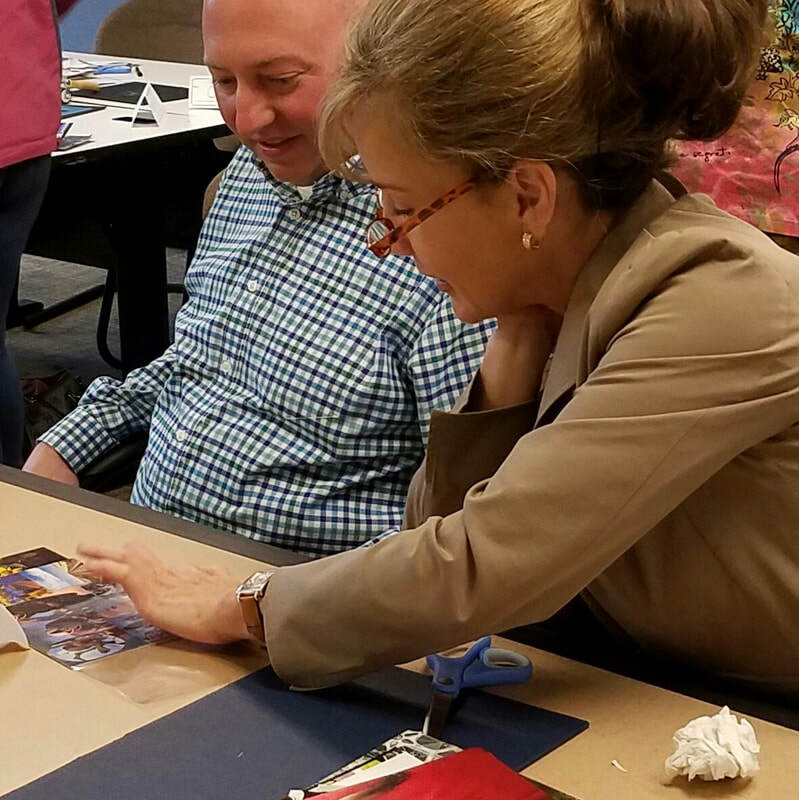 "SoulCollage® is much more than a process of self-discovery and creativity for the individual. It has proven to be a valuable therapeutic tool when used by therapists and professionals as a part of their practice. Here are some contexts and applications in which SoulCollage®has been used already: Addictions & Substance Abuse Treatment, Anger Management, Adolescents at Risk, Blessing Rituals, Career Counseling, Children’s Groups (divorce, etc. ), Coaching, Community Development, Conflict Resolution, Couple Therapy, Creative Problem-Solving, Diversity and Cross-Cultural Issues, Dream Work, Eating Disorders, Family Therapy, Creative Fun, Feng Shui Consulting, Grief and Loss (e.g., Hospice, Job Loss), Health-Related Issues (Chronic Pain, Cancer, etc. ), Psychotherapy, Senior Centers, Spiritual Direction/Pastoral Counseling." View and download the MMSoul brochure here, or click on the image below.